On April 28, 2018 Dr. James Cone passed away at the age of 81. While I only met him once very briefly, his writings have deeply influenced my theological thinking. In 1975 as a senior in college at Duke University I took a course called “Black Religion.” At that time the only Black theological thinker I knew of was Dr. Martin Luther King, Jr. My professor was a Marxist, African-American, Black Power advocate and considered King a moderate at best. We did not even read King in that course. Instead, I was introduced to the writings of William R. Jones (Is God A White Racist?) and Albert Cleage ( The Black Messiah). However, in spite of my professor’s misgivings, I did write my final paper on King’s philosophy of nonviolence, which has stuck with me ever since. Even more so, my worldview was busted wide open as a I realized the conventional Christianity I had been introduced to was not equipped to deal with the angst and anger of the Black experience in America. 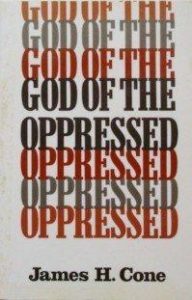 A couple years later I was a youthworker in a multi-racial, low-income neighborhood of Boston, MA and picked up a copy of James Cone’s God of the Oppressed and read it carefully and reflectively. On the back of the book was a picture of Cone in a full Afro and beard, and the words that jumped off the pages seem to come from an angry prophet telling us we had been looking in all the wrong places for the presence of God. By that time I had seen firsthand the racism at the heart of the justice system and the culture at large. I had heard stories and learned of the different way that my African- American friends and colleagues experienced the world in which we lived. And while Cone’s words shook me, and even scared me a bit, there was something in my bones that said he was speaking a truth, however difficult, I needed to hear. A few years later around 1979, I was attending a predominantly white evangelical seminary when Dr. Cone was invited to speak at our weekly chapel. I expected a large man with a deep voice to appear, and instead, this small, slight man with a quiet, high pitched voice entered the pulpit. Despite his mild-mannered voice and appearance, his words cut through me like a knife and I heard in clear tones the truth of the gospel I had read a few years earlier. To my disgust my white theology professors sought to take Cone to task for not being “biblical” enough. Yet he gently responded Bible in hand and revealed a theology grounded in real life experience rather than the ethereal aspirations of my professors. I was hooked, and years later realized what a bold move it was for a radical theologian like him to come to a conservative, white, evangelical bastion like my seminary. Following graduation from seminary, for 16 years I served as a pastor in three different congregations – urban, small town and suburban. And while I continued to follow Cone and his writing, I had a difficult time translating his powerful words into forms my predominantly white congregations could hear. In my last congregation in suburban Philadelphia, simply mentioning the word “race” caused some people to walk out of the congregation, and contrary to my university professor years before, some people in my congregations found Martin Luther King Jr. far too radical and disturbing. I talked and preached on race, but always felt like I failed to get thru. When I left the pastorate in 1997 I spent two years reading several books of theology and in the process reintroduced myself to James Cone. 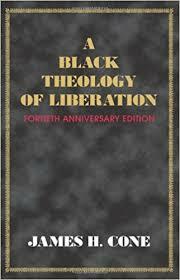 I read his Risks of Faith, Malcolm and Martin and A Black Theology of Liberation. I reread God of the Oppressed. Later I would read The Cross and the Lynching Tree, a book I continue to use in my classes. And I saw him speak on Bill Moyers PBS show more than once. I followed his writings and speeches. When my book White Allies in the Struggle for Racial Justice was about to come out, my publisher from Orbis Books asked Cone if he would write the forward, I thought it was a wild idea when the publisher suggested it, but what was there to lose? Cone declined, saying he had chosen not to write a foreword for anyone because it kept him from his work. Even so, the very thought of a James Cone foreword made my day. Cone gave voice to the revolutionary faith that had sustained African Americans for centuries. What he gave this white guy was a language to understand how revolutionary and liberating for both the oppressed and the oppressor (like me) the gospel can be and is. He articulated a theology that was not about getting to the hereafter but a theology speaking to the injustices here and now. He did not give a theology of spiritual musing, but a theology that called one to action. He spoke a theology, as Freire said, that seeks to transform society. 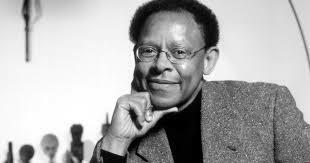 So like many who knew him far better than me, I celebrate the life of James Cone and thank him for inspiring a generation of scholars and thinkers who continue to articulate radical call of the Christian gospel and who have carried forth and expanded upon the foundation that he, James Cone, laid for all of us. The struggle in which he engaged continues on, and so his words can and will guide us as we work for a world free of racism and other forms of oppression.